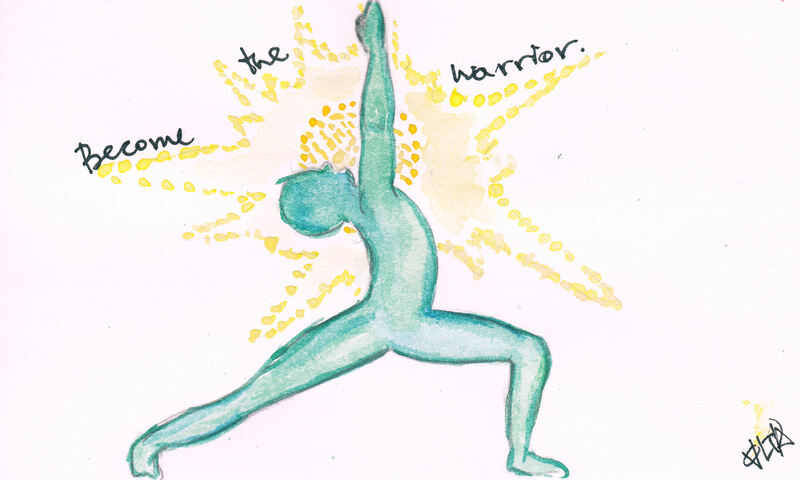 Become the Warrior you’ve always had within yourself. Believe in your energy – those thousands of blinding suns that shine perpetually – they will guide you. Your shine is contagious. Believe in it. This post is kindly dedicated to my mentor and one of my best friends – J.O.B. 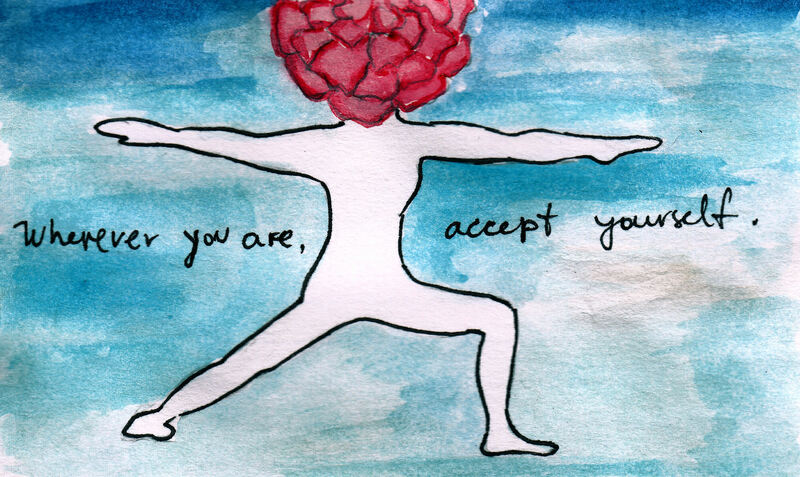 Wherever you are, accept yourself. Self-acceptance is one of the most important aspects that leads to happiness. It does not mean that you stop working on becoming a better person. It just means that you are OK with where you are at this point in life. At this given point, you are enough and the small steps you take are also enough. 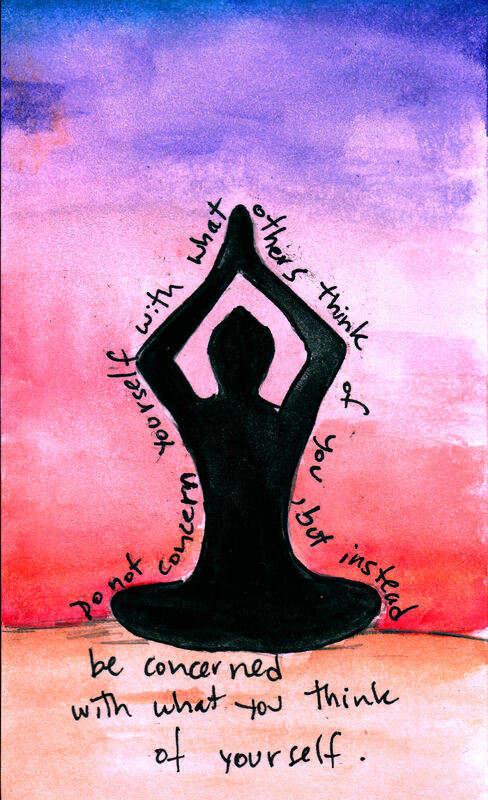 I am learning self-acceptance in my yoga class at Sunstone. I’m learning that it takes time to get each pose right; it takes a lot of patience. I am guilty of getting excited about one thing and wanting to become an expert at it right away. But few things happen that way…And honoring yourself wherever you are at that point is especially important. Give yourself credit for your hard work, whatever your dream may be. Congratulate yourself for taking those baby steps in the direction of soul-fulfillment. Focus on your own journey and realize that it might take some time, some effort, some patience. And you will be victorious, you will be accomplished. I ask again: what is something that you are working on or have worked on in the past and it took a great deal of perseverance and patience? I invite you to join me here or here , for updates and more! Do not dismiss your soul. I love trees and I love painting them! To me, they are representative of so many incredible things. I like to think of them as a connection between the heavenly (skies) and the real (ground). It is a beautiful balance and a wonderful reminder that we should try to balance things in our lives. So often we listen and observe the external world and do what others think we should do. We may silence our voice within, dismiss our dreams, but they will always be there, buried within the depths of our soul. The more we disregard our dreams, the unhappier we become. We may pretend on the surface that we are ok, that we will just settle for whatever we can get…but the soul always knows, it will always be aware of your unfulfilled and undisclosed desires. About two weeks ago, I began my journey towards mind and body balance. I tried out a real yoga class and absolutely fell in love with it. Right before we start the class, we enter a dark room and set our mats on the floor. We lay on our backs, palms facing up in Shavasana (corpse) pose. We begin and end our class with this pose. I noticed that I started coming to different realizations. It’s only been a few classes, but I am already learning many things from yoga. I noticed that the yoga class is a judgement free zone. I would normally be a bit insecure when entering a gym environment. I will admit, I don’t know how to use a lot of that equipment and I feel silly being around it. 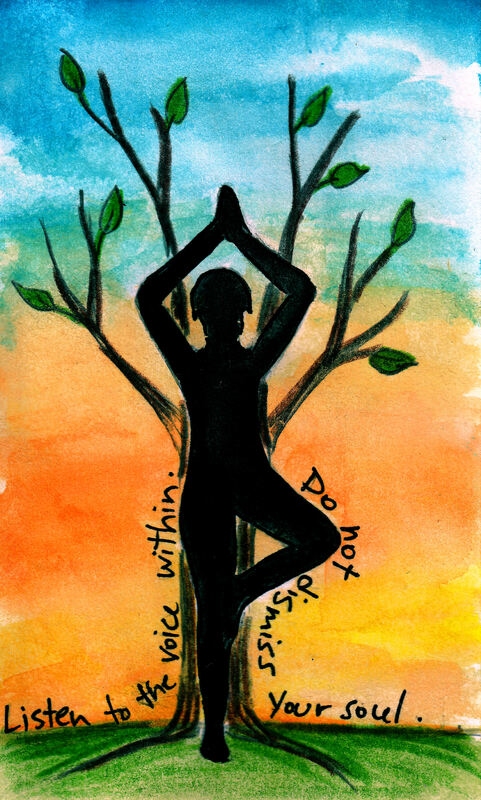 Yoga is simple and you don’t need many things to practice it. And once you enter the class, the only focus is on yourself. Everyone is on a personal journey, and we all struggle with poses, all sweat, all come back over and over again. I’m starting to be more comfortable with who I am and not worry so much what others think. External opinion will change; it’s like a pendulum, you will be loved and you will be hated. The important thing is that you love yourself internally and keep to it always.